India is a “Sovereign, Socialist, Secular, Democratic Republic” country with a parliamentary system of government and has the population 1,129,667,528. Apart f from that India was one of the richest countries till the time of British rule in the early 17th Century. The Indian economy is the fourth largest economy of the world on the basis of Purchasing Power Parity. It is one of the most attractive destinations for business and investment opportunities due to huge manpower base, diversified natural resources and strong macro-economic fundamentals. Also, the process of economic reforms initiated since 1991 has been providing an investor-friendly environment through a liberalised policy framework spanning the whole economy. India has one of the oldest legal systems in the world. 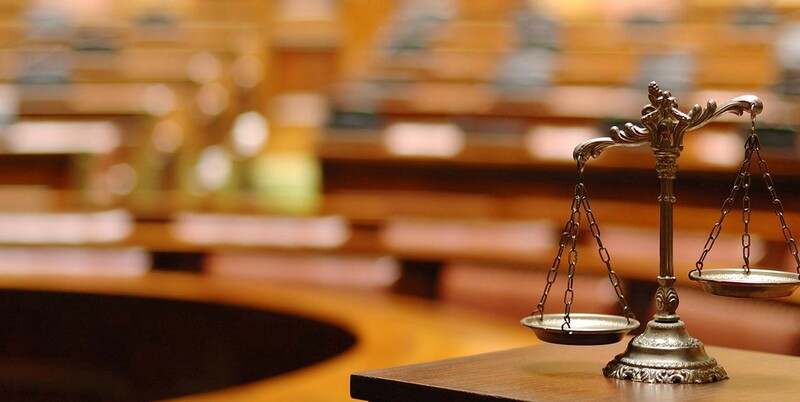 The history of the present judicial system may be traced back to the year 1726, when a Charter was issued by King George I for bringing about important changes in the judicial administration of the Presidency Towns of Bombay, Calcutta and Madras. The Indian legal system is a unique feature of the Indian Constitution. It is connected with system of courts that administer both state and union laws. The Chief Justice and the other judges of the Supreme Court are appointed by the president. The Supreme Court has its own advisory and jurisdiction which has the power to enforce the primary rights mentioned in the Indian constitution. And it solves any argument in between the government of India and all states of India. While according to ratings the Indian legal system is measured fair, even though there is a large backlog of different types of cases. In rural areas of India, people are encouraged to resolve their problems with help of one main legal system which is “PANCHAYATS” It is mainly a group of five respected people of a village and they are appointed by the local people to solve their problems. Sources of law can be divided into two primary and secondary sources. The primary source of law is in the enactments passed by the parliament or state legislatures. All types of ordinances become obsolete in six weeks from the re-assembly of the parliament or state legislature. Secondary source of law is the judgments of the high court, Supreme Court and other tribunals. The constitution provides that the law declared by Supreme Court are applicable on all courts within India. Apart from that the constitution declares India to a sovereign socialist democratic republic, assuring its citizens of justice, equality and liberty, and it is the longest written constitution of independent country in the world. It contains 395 articles 12 schedules and numerous amendments. Now let’s see criminal law, civil law and other customs. Indian penal code (IPC) provides a penal code for all states in India. The code applies to any offence committed by an Indian citizen anywhere and on any Indian registered ship or aircraft; this Indian penal code came into force in 1862 during the British rule and is regularly amended, it continued in force in 1993. Based on British criminal law, the code defines basic crimes and punishments, applies to resident foreigners and citizens alike, and recognizes offences committed abroad by Indian nationals. Civil matters like murder, assault, physical injury, economic offences, medical negligence, drugs/narcotics, harassment, sexual abuse, domestic violence, corruption, extortion, cheating, immigration, human rights violation, and more. The civil procedure codes (C.P.C.) regulate the functioning of civil courts. This code lays the procedure of filing the civil case which includes specific rules for proceedings of a case, rights of appeals, review or reference etc. Indian civil law is complex, with each religion having its own specific laws to follow, after independence Indian laws are changing according to the modern world example: the most recently the domestic violence act was passed in the year 2005. Indian judicial system is a three tiered system comprises of Supreme Court which is considered to be the highest court Situated in capital New Delhi. Then the high courts standing at the head of the state judicial system; followed by the district and sessions courts in the judicial districts, into which the states are divided. Below these in the lower ring consists of civil courts (civil judges) & criminal (judicial/metropolitan magistrates) jurisdiction. The supreme court of India consists of chief justice and more than 25 (30) other judges and the proceedings of the court are conducted in English only. High courts: Generally high courts are the last court of regular appeal. Besides, for invoking any jurisdiction, the high courts can be approached for enforcement of other rights. It has the power to supervise the subordinate courts falling within its territorial jurisdiction. The high court hears first appeals from the decisions of the district courts. Section 100 of the code of civil procedure provides for a second appeal from appellate decrees. Under section 115 of the code, the high court is conferred wish decisional jurisdiction. High court in exercise of its powers of superintendence entertains revision petitions to correct errors on the part of lower courts and tribunals in judicial matters. On the criminal side, the high court has to confirm all sentences of death passed by courts of sessions and hear references in this behalf. It hears criminal appeals from convictions awarded by sessions judges and additional sessions judges or from the judgment of any other court, where a sentence for more than seven years imprisonment has been passed, apart from that it has empowered to entertain appeals from orders of acquittal passed by any court. Subordinate courts are the district courts which has the power to hear appeals from courts of original courts civil jurisdiction besides having original civil jurisdiction. Sessions court is courts of criminal jurisdiction, having similar scope of powers. The sole proprietorship is the oldest, simplest, and most common form of business entity. It is a business owned by a single individual. For tax and legal liability purpose, the owner and the business are one and the same. The proprietorship is not taxed as separate entity. Note that the earnings of the business are taxed at the individual level, whether or not they are actually in cash. For liability purposes, the individual and the business are also one and the same. Thus, legal claimants can pursue the personal property of the proprietor and not simply the assets used in the business. Before starting the business think up of a trade name, ensure it is not trademarked. You probably simultaneously want to apply for a trademark as well. See if you can get a website for it. Stationery’s like printed – letterheads, visiting cards and if you’re going to do little bit bigger get some brochures designed. Register for tax other than income tax. Your income from the proprietorship firm would get included into your personal income and would be taxed accordingly. Sole proprietor can take decisions on his own, if he is willing to do the business he can do it or can shut it down if he feels not worthy. According to section 4 of the Indian Partnership Act of 1932, “Partnership is defined as the relation between two or more persons who have agreed to share the profits and losses according to their ratio of business run by all or any one of them acting for all”. Partnership is the relation which subsists between persons who have agreed to combine their property, labor, skill in some business, and to share the profits thereof between them. Number of partners – Since partnership is ‘agreement’ there must be minimum two partners. The Partnership Act does not put any restrictions on maximum number of partners. However, Companies Act prohibits partnership consisting of more than 20 members, unless it is registered as a company or formed in pursuance of some other law. a) Every partner has a right to take part in the conduct of the business. c) Every partner has a right to have access to and to inspect and copy any of the books of the firm. A Private Company is one which: Has a minimum paid-up capital of rupees one hundred thousand. (a) Restricts the right to transfer its shares. (b)It has the limitation of its members to 50. This number does not include employees of the company and the ex-employees of the company who are still members of the company. And it also prohibits any invitation or acceptance of deposits from any person except its members, directors or their relatives. (a)It is a private company which is a subsidiary of a public company. (b)A public company cannot have less than seven members. There is no restriction with regard to the maximum number of persons who can acquire the shares or debentures of a public company. The shares and debentures may be quoted in stock exchange and are freely transferable. 1) Litigation: It is process in India based on common law and it largely based upon English law. During the framing of the Indian Constitution, laws from Ireland, the United States, Britain, and France were all synchronised to get a refined set of Indian laws according to modern times. Each state drafts it own laws, however all the states have more or less the same laws. Laws directed by the central government and the Supreme Court of India via judicial precedent or general policy directives are binding on all citizens of each state. Each state has its own labour laws and taxation rates. Each state is divided into judicial districts presided over by a ‘District and Sessions Judge’. He is known as a District Judge when he presides over a civil case and a Sessions Judge when he presides over a criminal case. He is the highest judicial authority below a High Court judge. Below him, there are courts of civil jurisdiction, known by different names in different states. Arbitration is more powerful than litigation. An arbitrator’s awards are binding on the parties and more readily enforceable across international boundaries. Arbitration is also less formal, as the parties can choose the arbitrator or the organisation that will appoint the arbitrator and they can decide what arbitration procedure they want. Because of this arbitration should be more flexible and cost effective than litigation. Arbitrators may be selected for their special skills to suit the particular dispute. Arbitration is particularly valuable in some disputes because confidentiality can be preserved. The goal of mediation is settlement of disputes through compromise and over 70% of mediated disputes are resolved by the parties. Mediation facilitates real communication. It does this by providing a process and through the interpersonal skills of the mediator. Mediators do not give the parties advice or make decisions for them. However, competent mediators will have dispute resolution experience and be able to use technical and commercial expertise to engage the parties in early ‘reality testing’, exploring the strengths and weaknesses of their position, which often leads to a settlement agreement. When we come to the effectiveness it is a big question. Even after introducing modern methods still we have about more than two and half million cases pending (As per the Ministry of Law and Justice press release 48,838 cases are pending in Supreme Court, 38,82,074 cases pending in high Court and 2,52,40,185 are pending in subordinate courts as on 31.1.2008) that means at least five crore people are directly involved in litigation that about 4 percent of our population, and we have only 12,500 judges at lower court level and about 647 judges at various High Court and 26 judges in Supreme Court of India. Our Justice Administration system is “adversarial” in nature in which there are two parties and they are on face to face with each other in the Court, and we have seen that its not the legal issues which are involved in most of the cases put before us rather its ego which come in between and it ultimately ends in blood amongst the litigants and hatred. It is also observed that our courts have very limited time for example 10:00 AM to 5:00 PM we are in Court but during that time we have to manage out time for various things like signing of files, and day to day orders, meetings, compliances of directions of higher courts, and other miscellaneous work, which a judge has to see. However, alternative dispute resolution has greatly expanded over the last several years to include many areas in addition to the traditional commercial dispute in the form of arbitration; mediation has become an important first step in the dispute resolution process. Arbitrators and mediators have an important role in resolving disputes. Mediators act as neutrals to reconcile the parties’ differences before proceeding to arbitration or litigation. Arbitrators act as neutral third parties to hear the evidence and decide the case. Arbitration can be binding or non-binding. The concept of Conflict Management through Alternative Dispute Resolution (ADR) has introduced a new mechanism of dispute resolution that is non adversarial. The best part of ADR is that since both parties come face to face and they work out the modalities and reach to an flexible solution, there is no likelihood of winning or losing the case, i.e. it’s a win – win situation and thereafter no appeal, and thus it reduces the burden of appellant courts as well, the arbitration and conciliation Act, 1996 provides for Arbitration and the award given by the arbitrator is deemed to be a decree. Copyright gives the author of an original work exclusive right for a certain time period in relation to that work, including its publication, distribution and adaptation, after which time the work is said to enter the public domain. Copyright applies to any expressible form of an idea or information that is substantive and discrete and fixed in a medium. Some jurisdictions also recognize “moral rights” of the creator of a work, such as the right to be credited for the work. Copyright is described under the umbrella term intellectual property along with patents and trademarks. In India Copyright which can be called as intellectual rights governed by the copyright act 1957. (B) Moral Rights of the author. (A) Economic Rights: The rights are mainly, in respect of literary, dramatic and musical, other than computer program, to reproduce the work in any material form including the storing of it in any medium by electronic means, to issue copies of the work to the public, to perform the work in public or communicating it to the public, to make any cinematograph film or sound recording in respect of the work, and to make any translation or adaptation of the work. In the case of computer program, the author enjoys in addition to the aforesaid rights, the right to sell or give on hire, or offer for sale or hire any copy of the computer program regardless whether such copy has been sold or given on hire on earlier occasions. The right of paternity refers to a right of an author to claim authorship of work and a right to prevent all others from claiming authorship of his work. Right of integrity empowers the author to prevent distortion, mutilation or other alterations of his work, or any other action in relation to said work, which would be prejudicial to his honour or reputation. 3. It advertises the products. In India an application for trademark may be made on Form TM-1 with prescribed fee of Rs. 2500/- at one of the five office of the Trade Marks Registry. The application is examined to ascertain whether it is distinctive and does not conflict with existing registered or pending trademarks and examination report issued. If it is found be acceptable then it is advertised in the Trade Marks Journal to allow others to oppose the registration. If there is no opposition or if the opposition is decided in favour of the applicant then the mark is registered and a certificate of registration is issued. If the applicant’s response does not overcome all objections, the Registrar will issue a final refusal. The applicant may then appeal to the Intellectual Property Appellate Board, an administrative tribunal. The term of a trademark registration is for a period of ten years. A patent is a set of exclusive rights granted by a state (national government) to an inventor or his assignee for a limited period of time in exchange for a public disclosure of an invention. Or can be defined as a grant of exclusive rights to an inventor over his invention for a limited period of time. The exclusive rights conferred include the right to make, use, exercise, sell or distribute the invention in India. The term of a patent is twenty years, after the expiry of which, the invention would fall into the public domain. (a) The object: The object of patent law is to encourage scientific research, new technology and industrial progress. The price of the grant of the monopoly is the disclosure of the invention at the Patent Office, which, after the expiry of the fixed period of the monopoly, passes into the public domain. (b) Inventive step: The fundamental principle of Patent law is that a patent is granted only for an invention which must (ICT) is going to be one of the inevitable requirements of a sound Indian Patent System. Design is the planning that lays the basis for the making of every object or system. It refers to the process of originating and developing a plan for a product, structure, system, or component with intention. (1) Novelty is now to be determined on a world-wide basis. (2) The initial term of protection will be for ten years with a subsequent renewal for five further years for a total of fifteen years. (3) The validity of a design registration will be able to be challenged before the Controller at any time during its period of protection. (4) Convention Priority will be able to be claimed from applications filed in any Paris Convention country and not limited to British Commonwealth countries as previously. Indian government is taking massive steps to modernise IP administration for strategic response to liberalisation and globalisation. Official website is launched, a logo of the office put into use and a work manual also, put into use. Information brochures on different aspects of intellectual property including patents have been prepared and released. On-line search facilities have been established to have easy access to the laws, new updates, news letters and journals etc. These improvements have contributed much for all types of industries to know to preserve their rights. India has been placed 23rd in a ranking of 24 countries – only ahead of China – in terms of protection and enforcement of intellectual property practices, a survey shows. According to a survey India and China are last in the list, placed at the 23rd and 24th positions, respectively, in ‘IP competitiveness’ in the Global Intellectual Property Index 2009. The UK tops the list followed by us and Germany.